This will be skins event. It will on a first come first request basis. You may set your group of foursomes (but all players in the foursome must agree). 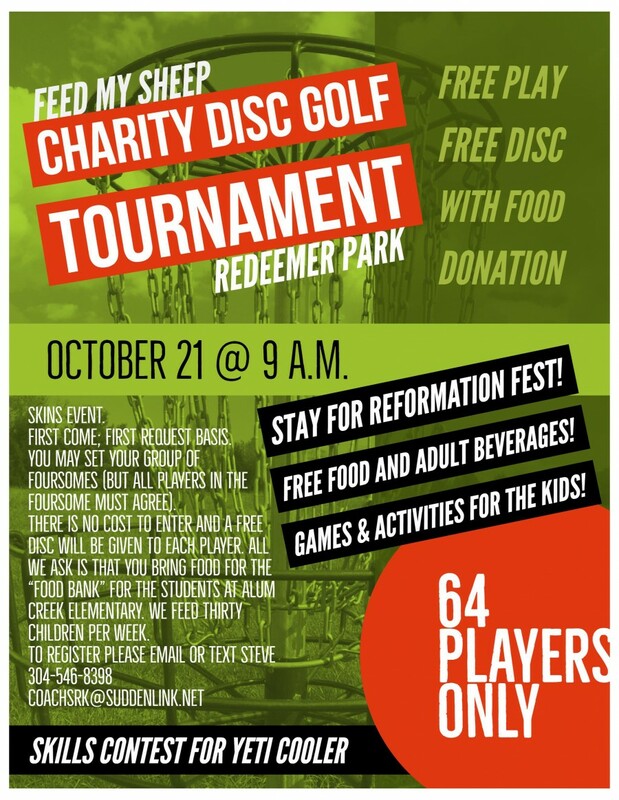 There is no cost to enter and a free disc will be given to each player. All we ask is that you bring food for the "food bank" for the students at Alum Creek Elementary. We feed thirty children per week. To register please email or text Steve at 304-546-8398 with your name and number. E- mail is "[email redacted]" . REMEMBER 64 players only. Kanawha Valley Disc Golf Club is responsible for all refunds/cancelations.